When it comes to feeding yourself, you really can’t get by without an oven, unless you want to eat nothing but microwave dinners. To eat good, proper food, you need an oven, which makes them one of the most important household appliances in the modern age. But, as with most appliances, such as dishwashers and clothes dryers, there are a whole host of different factors you need to take into consideration before coming to a decision. It doesn’t take an expert to tell you that blindly picking the first one you see might not be the best decision, especially for something this import. Also known as built-in ovens, wall ovens are the most common type of oven. They are fitted either in a wall space or under a bench in your kitchen. Wall ovens give you a large degree of flexibility when it comes to your kitchen layout, meaning you can tailor it to suit a wide range of options. You can also install it at your height, so you don’t have to squat or reach for it. 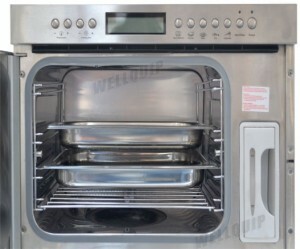 A free-standing cooker is a combination of both an oven and a stove. They are very similar to wall ovens in terms of appearance, but the key difference is that they do not have to be built-in to a wall or cabinet top. This can either be a good thing or a bad thing, as they are easier to install as a result, but have less flexibility and are less convenient to use. They are a better choice for smaller kitchens. 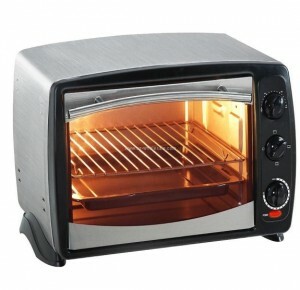 As the name suggests, a toaster oven is a small countertop oven that is about the same size as a toaster that can also toast bred as well as cook food. They are much cheaper to buy and easier to install, but generally produce a poorer quality of food than a ‘proper’ oven does. They also limited the amount of food you can prepare at any given time. As the name suggests, they use steam to cook food. Steam ovens can be either placed on a counter or installed in a kitchen, and are primarily used for cooking vegetables and certain kinds of meat. As well as reducing cooking time, steam methods of cooking can also preserve the flavour of foods as well as retain vitamins and nutrients. They are easier to clean too, but generally can cook a smaller variety of foods than other models. Rather than letting hot-air circulate randomly, convection ovens use internal fans to evenly distribute the hot air to create a constant temperature. 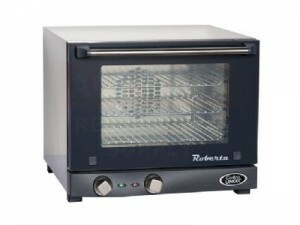 They are one of the most expensive oven types, but can cook faster, at a lower temperature and with better results. 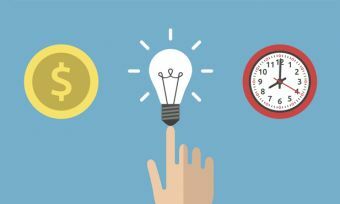 These time savings mean that they are very energy efficient, so you can save on the initial cost over time. Or you might know them as microwaves, since you probably already have one. 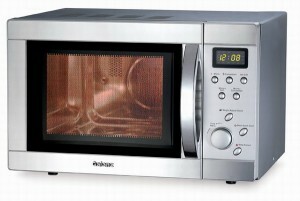 Technically, your microwave is a form of oven, and they are the best type when it comes to rapidly heating food. However, for the most part, they are sub-par when it comes to cooking, and there are a lot of people who believe there are health risks associated with cooking meals in a microwave. 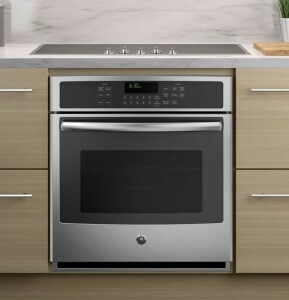 Pyrolytic ovens, which feature a self-cleaning mode, which heats the oven to temperatures as high as 500°. This reduces food and fat residue to a thin white ash, which you can then easily wipe away. Catalytic liners, which have specially developed oven liners, which absorb fats and food particles. Cleaning your oven regularly can greatly improve the quality of the food you make, so having these ovens do that for you can be a big plus. These different types of ovens can also be classified as either gas or electric ovens. Over 85% of ovens nowadays are electric, but both types have different advantages and disadvantages that could be more suitable for you, depending on what you like to cook. Electrical ovens work using heating elements placed on the walls of the oven to evenly distribute the heat throughout the oven. They are more expensive than gas ovens in terms of running costs, but are easier to use, easier to clean and tend to have more options when it comes to cooking. It is commonly believed that they produce a higher quality of food as well. The main reason that electric ovens are so popular nowadays is that you can control the temperature electronically, allowing for more precise cooking. They also come with a wide variety of functions, allowing you to bake, grill and cook depending on the food being prepared. Chances are the oven you are set on will be an electric oven, but you should always check just to be sure. 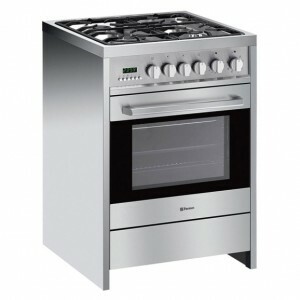 While these types of ovens are cheaper than electric models in most instances, they are much more situational, due to needing a mains gas connection in order to use them. The main advantages of these models is that they can heat and cool much more quickly than electric ovens, and can also retain moisture in food, making them perfect for roasts and baking. However, they don’t distribute heat anywhere near as evenly as electric ovens, and have no electric controls, which greatly reduces the flexibility on offer. You will need to regularly check and rotate your food as a result, which can be a pain for people who are busy or simply don’t want to. What size oven do you need? As with other appliances in your house, it is crucial that you know the size of the model you want, as well as the space you have available in order to fit it. Many people fail to plan ahead here, and have brought home their dream oven only to have their dreams crushed when they find out that is doesn’t fit. Your kitchen design in most cases will dictate how much space you have available, unless you are planning to get a portable toaster oven. 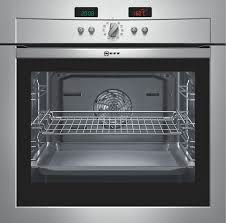 The standard oven that is found is most homes, single ovens tend to be 60cm wide. If you live alone or in a small household, then single ovens are the ideal choice, although single ovens are often more than enough for large households too. Single ovens can also come in wider sizes (up to 90cm), but the trays and shelves in these sizes can be cumbersome and awkward to carry. As the name suggests, a double oven is essentially two single ovens stacked on top of one another, allowing you to cook different meals at the same time at different temperatures, which can greatly improve your productivity. In terms of width, they are the same as single ovens (60-90cm), but are much taller. If you are someone who lives in a particularly large household (>5) or entertains guests regularly, then definitely consider a double oven. Kind of a middle ground between single and double ovens, 1 ½ ovens also contain two separate ovens, but only one can perform a large variety of functions. The other will only have 1 or 2 shelves, and can only perform the most basic of cooking tasks. They are still useful if you need to cook multiple different meals at times, but can’t quite afford a double oven. In order to get the right sized oven, take out a tape measure and record the dimensions of the space you plan on putting your new oven in. It is important to get these measurements to the millimetre, as just a few millimetres can be the difference between an oven fitting and an oven not fitting, so take plenty of care here. It is best to do multiple measures, in order to ensure that you are as accurate as possible. We’ve already discussed this one, but really, we can’t stress enough how much of a life-saver it can be. An oven that cleans itself can save you the hassle of doing it, and can also improve the quality of your food by removing leftover fats and flavors from previous meals. Not so much a feature as it is a design choice, glass windows on an oven allow you to check on a meal without actually opening the door, which can prevent some of the heat from escaping and can generally save you time. Having a glass window does make them harder to clean however. The importance of a timer on an oven can never be stressed enough, as they can stop you from accidentally forgetting about your food and can even prevent fires. Some ovens nowadays also have a feature in their timers that turns the oven off once the timer runs out, meaning that even the most forgetful of people (like me!) can’t burn their dinner. You probably know this already, but different meals require different methods of preparation. Therefore you need to find an oven that allows for all sorts of different settings, even if you don’t think you’ll use them very often. Such settings you should be looking for are bake, grill, preheat and possibly even defrost. More and more appliances these days are introducing this feature, which as you might guess, allows you to pick a time for your oven to start cooking, rather than straight away. This might allow you to cook at a time when electricity prices are low, or when you’re about to duck down to the shops, so as not to waste any time. The final major feature you should look out for is the flexibility of the oven’s internal layout. This is particularly important if you’re needing to cook multiple things as once, as not being able to rearrange the trays could result in you having to wait for your dinner. There are many other more obscure features out there that might be perfect for you, but these are the most sought after ones. By now you’ve hopefully picked out your ideal oven, so the time has come to install it and become a MasterChef. Put there is one final hurdle facing you; installing the thing. Ovens are probably one of the hardest appliances to install, due to their size, weight and the sheer demand they place on your home’s wiring. That is why that you should always at least consider using a registered electrician when installing your new oven. If you have the experience and the know-how, then by all means install it yourself, but if you’re anything less than 100% sure, leave it to the experts. The New Zealand Energy Safety website has plenty of information of what you can and can’t do if you are not a licensed professional. There are countless expert electricians all around New Zealand that are capable of installing an oven, so we’re not going to even attempt to list them all here. Instead, a simple internet or phonebook search can show you the nearest skilled professional. According to the Electrical Workers Registration Board, anyone carrying out paid electrical work must have a license to do so. When hiring an electrician, ask for proof of their qualifications. Be sure check with the supplier about the installation requirements for the new model, and as always, be mindful of the installation fees!